French baguettes are my downfall. Especially when J and I have been trying to eat Paleo as much as possible lately. Well, at least as much as possible through the week. Obviously, we don’t follow the strict plan (cos do things like drink alcohol and eat cheese) but basically we try to eat food in it’s most natural form possible and…NO GRAIN!! But do you know how hard it is to not eat grain? So no french bread. No chocolate almond croissants. No really fudgy brownies. 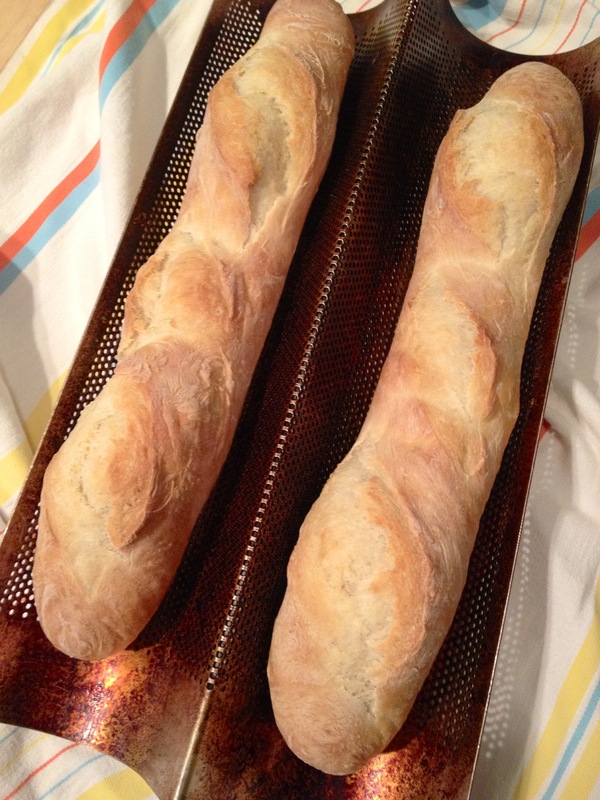 Okay, you know what I’m talking about, long story short, fresh baked bread is so comforting and satisfying. Especially when it has butter on it. The crisp crust and chewy soft inside, with melting butter all over it. Yeah, I can’t walk away from that, no matter how hard I try. I love making bread. 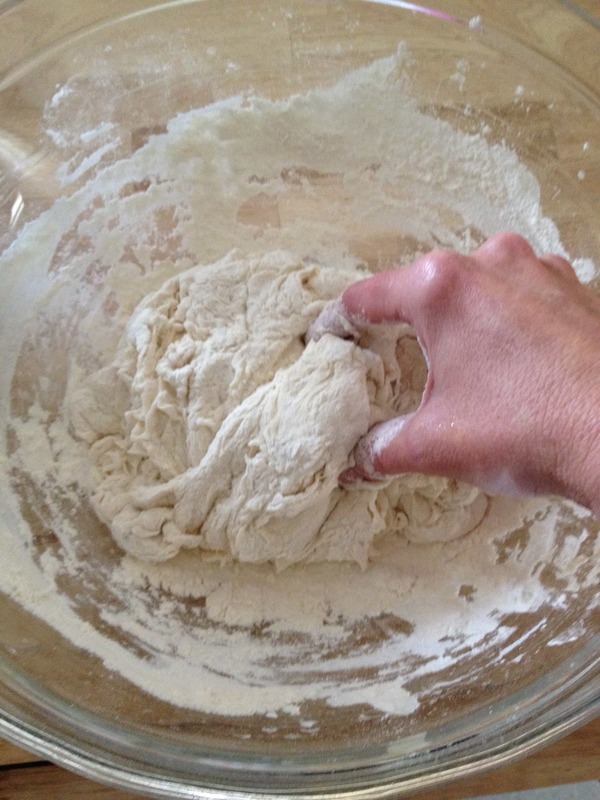 There is something very therapeutic about kneading dough and I love the act of getting all touchy-feely with it. My technique of making dough is a little different and I hardly ever use a stand-up mixer. Personally, I like using my hands as much as possible so I can get a feel for the dough. And I always make two loaves too. I mean, why not? You’re already committed to it, might as well go all the way. That way you have options: do I eat two loaves in one sitting or do I freeze one loaf for later use? It’s nice to have options. 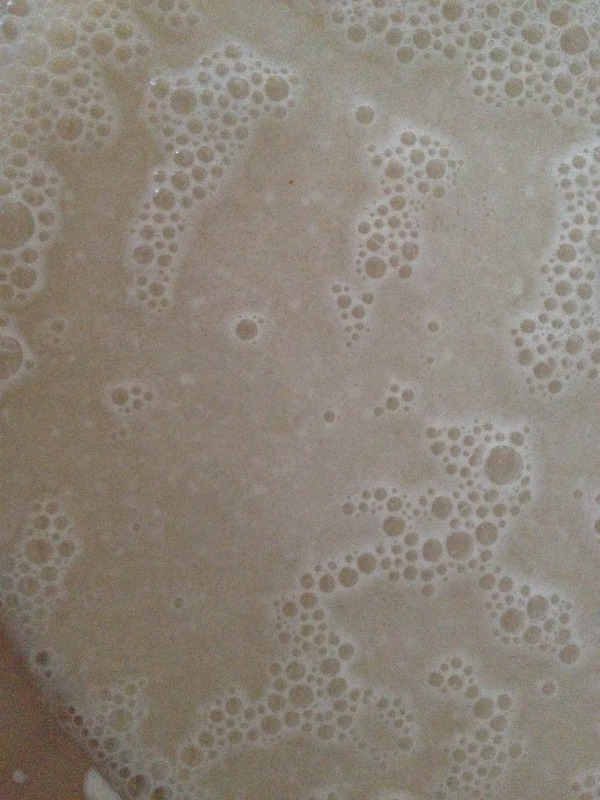 This is happy yeast, bubbling away. 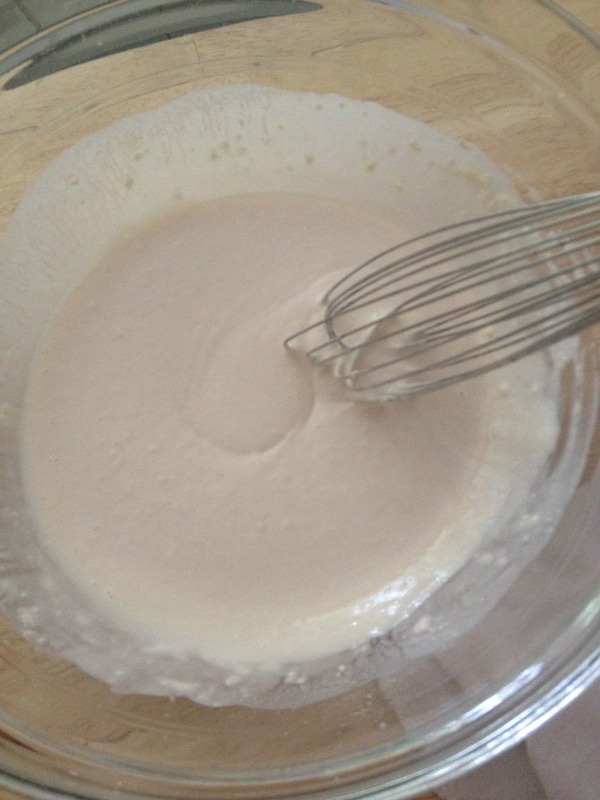 Whisk in flour to make a thick batter. 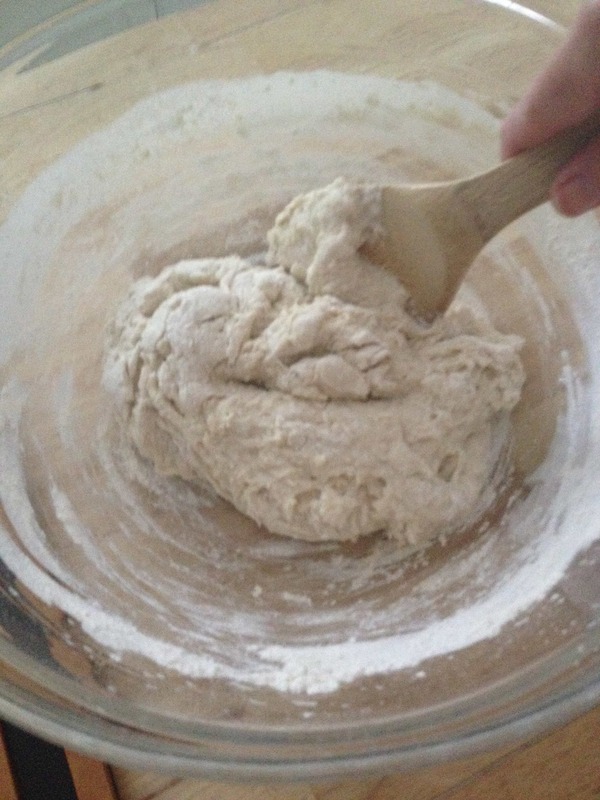 Continuing mixing in flour with wooden spoon until you have a soft dough. Mix in rest of flour with hands. And then you have this! After it’s been in the refrigerator overnight. 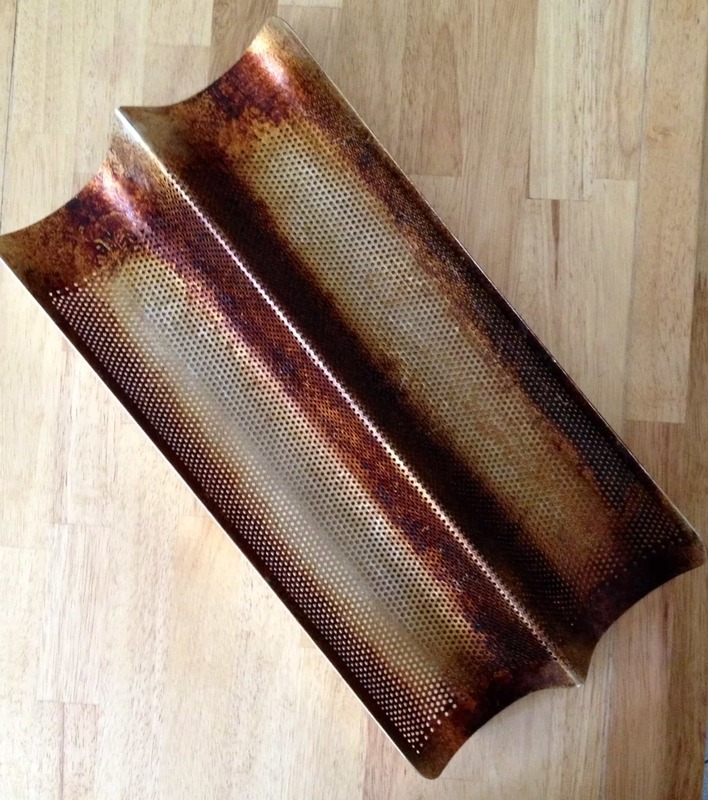 Here’s my baguette pan. Can you tell it’s been used a few times? In the pan and ready to rise. Hot out of the oven, ready to eat! In a large mixing bowl whisk together water and yeast. Let stand 5 minutes or until mixture looks creamy and is bubbling. Slowly whisk in flour, a half cup at a time until it’s a loose and thick batter (like pancake batter). Sprinkle salt over the batter and stir in. Take a wooden flat spoon and mix in as much flour as you can, then use hands and knead in remaining flour until dough is smooth and elastic. Shape dough into a ball. Put 1 tablespoon olive oil in large bowl (I use a large glass bowl that I run under hot water first to warm the bowl. Make sure bowl is dried well before adding the olive oil and dough). Put dough ball in bowl and turn once to coat with oil. 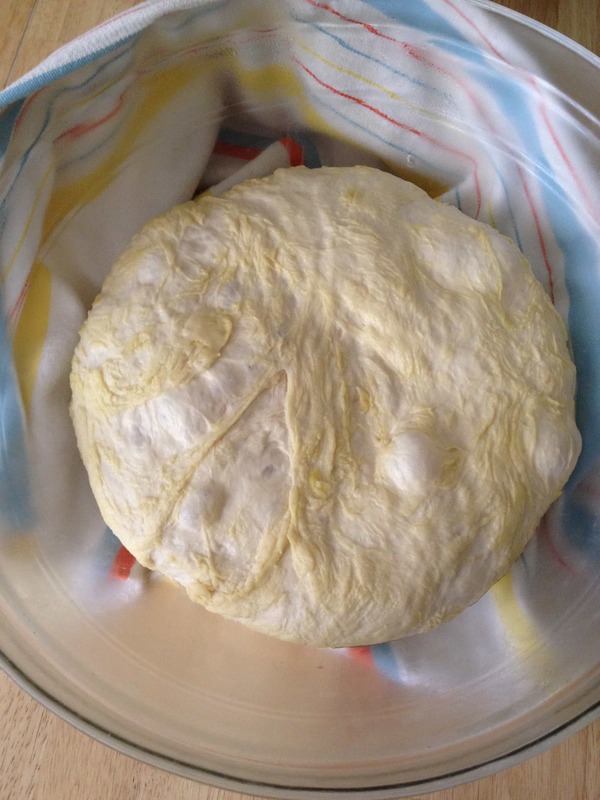 Cover with plastic wrap and a towel and let rise until double (1 1/2 to 2 hours) or place in refrigerator overnight. 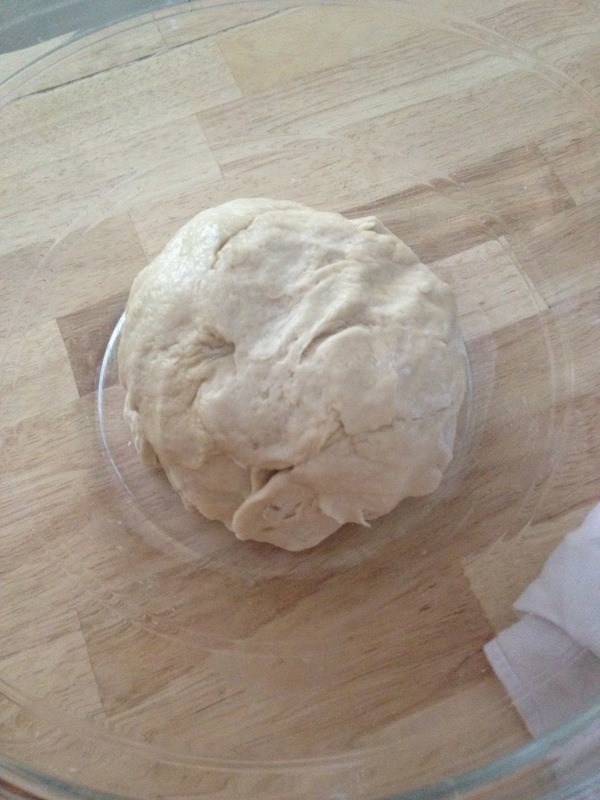 Gently push dough down in bowl and let rise again for 1 hour or 2 hours if dough has been refrigerated. Gently push dough down again and turn out into lightly floured surface. Divide dough into 2 equal pieces, cover, and let rise 10 minutes. 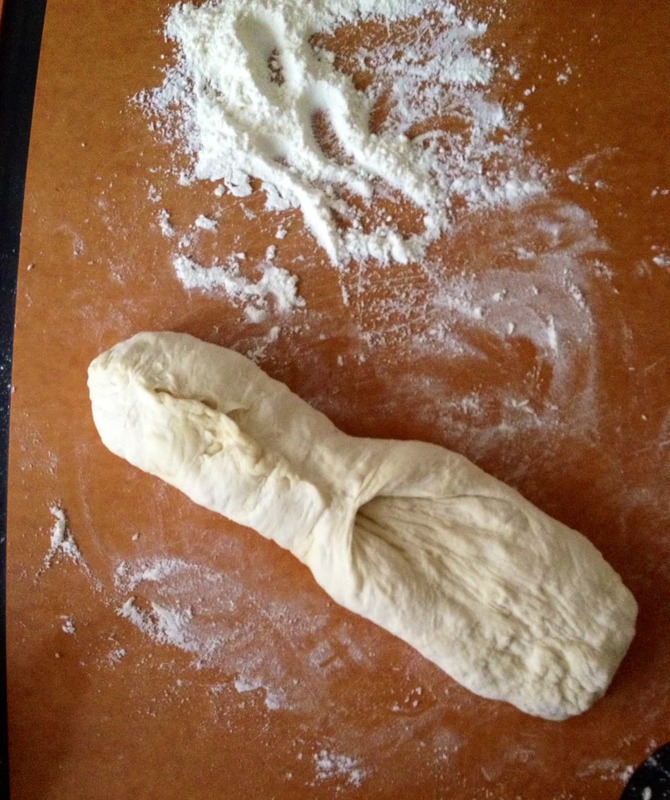 To shape, take one piece of dough and flatten with the heel of your hand into a rectangle. Bring the long edges up and pinch together to close the seam, gently stretching the loaf lengthwise as you work. Pat the dough flat again, repeating the pinching and stretching to form a long loaf. Repeat process with second dough piece. 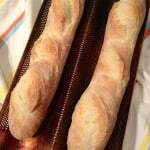 Place each loaf seam side down in lightly greased baguette pan or on baking sheet. Cover with towel and let rise in warm place until double (about 1 hour). Preheat oven to 450F/232C degrees. Drag a sharp serrated knife across the top of each loaf to form 3-4 diagonal slashes, about 1/4 inch deep. At this point you can combine 1 egg white and 2 tablesooon water, brush on top of loaves, and sprinkle with toppings, if desired. Place bread in oven on middle rack. Bake 20-25 minutes, or until loaves are golden brown and sound hollow when tapped. Transfer loaves to wire racks to cool completely. 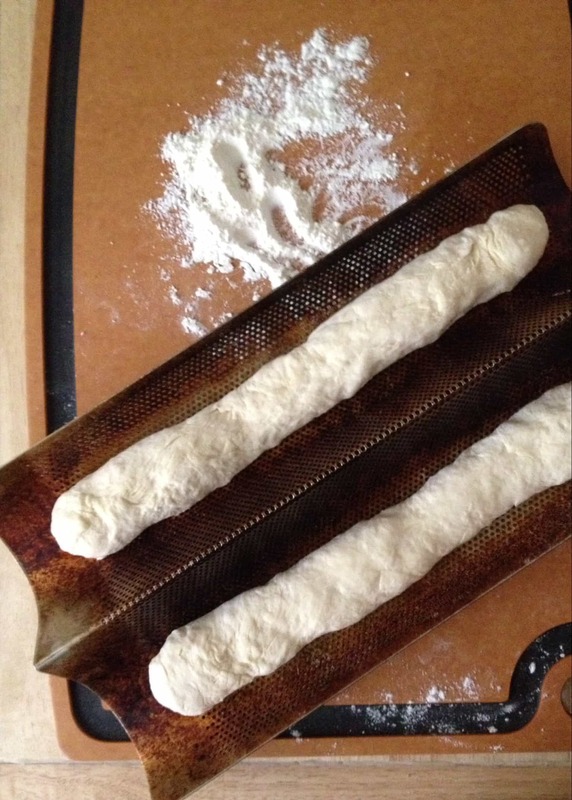 To make a crisper crust: put water into a spray bottle and after bread is placed in oven, spray water into the oven under the bread pan to create steam. Quickly shut the oven door to trap the steam. Can repeat this process after 10 minutes.